We could be here all day listing reasons why a Justice League vs. Avengers movie is unlikely to happen anytime soon, but surely there’s no harm in letting the young Shazam! stars Asher Angel and Jack Dylan Grazer fantasize about the idea for a while. In a recent interview with ComicBook.com, the pair explained which superheroes and actors they’d most like to work with. While Angel initially went for the relatively realistic choice of Aquaman star Jason Momoa, Grazer then got a lot more ambitious with his suggestion of pitting the Justice League against the Avengers in the ultimate Marvel/DC crossover clash. Grazer went on to add that he thinks “Justice League would win,” and unsurprisingly, Angel agrees. Since Billy Batson originally went under the name of “Captain Marvel,” it was probably to be expected that Shazam! has been mentioned in a whole load of disputes lately between Marvel and DC fans. 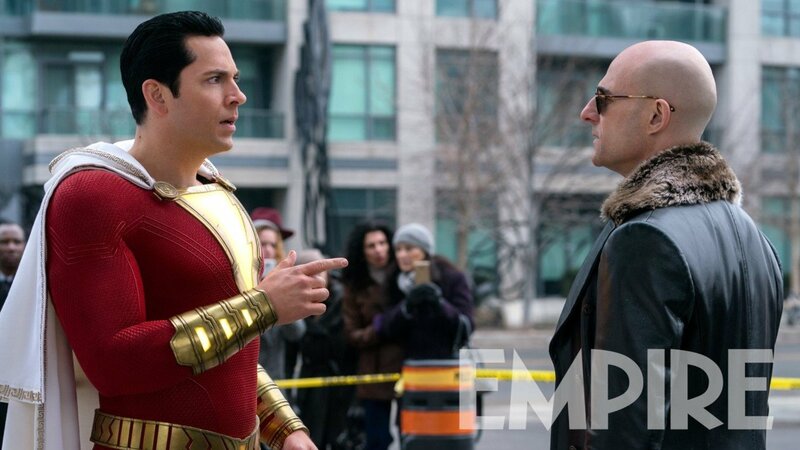 Nonetheless, the film’s producer Peter Safran and director David F. Sandberg have both condemned the heated rivalry between the two camps in recent months, while actor Zachary Levi has repeatedly gone on record denouncing the DC fans who’ve been trolling Captain Marvel. All the same, the Justice League vs. Avengers film remains but a pipe dream for the time being, and may always stay that way. In fact, it’s likely to be a long wait before any kind of Justice League movie makes its way to theaters, since the DCEU is said to be focusing on standalone films for the near future. Speaking of which, Shazam! is set to hit theaters on April 5th, before Marvel continues its 2019 slate with the release of Avengers: Endgame on April 26th.